Kisan Baburao Hazare pronunciation, popularly known as Anna Hazare pronunciation is an Indian social activist who is especially recognised for the Indian Movement against corruption and his contribution to the development and structuring of Ralegan Siddhi, a village in Parner taluka of Ahmednagar district, Maharashtra, India. He was awarded the Padma Bhushan—the third-highest civilian award—by the government of India in 1992 for his efforts in establishing Ralegan Siddhi as a model village. Anna Hazare started a fast unto death on 5 April 2011 to exert pressure on the government of India to enact a strong anti-corruption act as envisaged in the Jan Lokpal Bill, a law to establish a Lokpal (ombudsman) with the power to deal with corruption in public offices. The fast led to nationwide protests in support of Hazare. The fast ended on 9 April 2011, the day after all of Hazare's demands were agreed by the government of India. 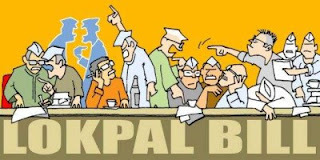 The government issued a gazette notification on the formation of a joint committee (of government and civil society representatives) to draft an effective Lokpal Bill. According to an Indian daily English newspaper Daily News and Analysis’s annual list of top 50 most influential people for 2011, Anna Hazare is the most influential person in Mumbai. He has faced criticism by political commentators for his authoritarian views on justice, including death as punishment for corrupt public officials and support for forced vasectomies as a method of family planning. Drafted by Justice Santosh Hegde (former Supreme Court Judge and former Lokayukta of Karnataka), Prashant Bhushan (Supreme Court Lawyer) and Arvind Kejriwal (RTI activist), the draft Bill envisages a system where a corrupt person found guilty would go to jail within two years of the complaint being made and his ill-gotten wealth being confiscated. 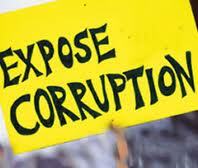 It also seeks power to the Jan Lokpal to prosecute politicians and bureaucrats without government permission. Anna Hazare, anti-corruption crusader, went on a fast-unto-death in April, demanding that this Bill, drafted by the civil society, be adopted. Four days into his fast, the government agreed to set up a joint committee with an equal number of members from the government and civil society side to draft the Lokpal Bill together. The two sides met several times but could not agree on fundamental elements like including the PM under the purview of the Lokpal. Eventually, both sides drafted their own version of the Bill. The government has introduced its version in Parliament in this session. Team Anna is up in arms and calls the government version the "Joke Pal Bill." 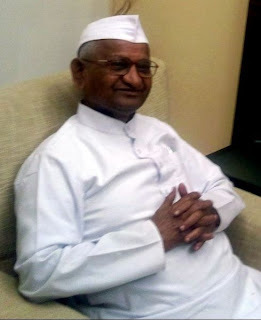 Anna Hazare declared that he would begin another fast in Delhi on August 16. Hours before he was to begin his hunger strike, the Delhi Police detained and later arrested him. There are widespread protests all over the country against his arrest. The website of the India Against Corruption movement(www.indiaagainstcorruption.org) calls the Lokpal Bill of the government an "eyewash" and has on it a critique of that government Bill. 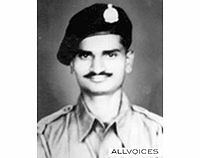 Is that Anna Hazare in Indian Army i got shocked after seeing this.. Is that real? Anna Hazare was a driver na?